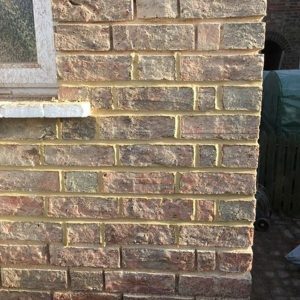 Do you need expert lime repointing in Mildenhall? The repair, restoration and repointing of lime mortar structures requires expert knowledge of the lime repointing process. That's where English Building and Restoration Mildenhall comes in. We are a highly skilled team specialising in stonework and restoration services, including heritage & conservation brickwork. We provide façade refurbishment for many historic, period and listed properties, working for individuals or assisting contractors. We use traditional lime repointing methods and materials to minimise any impact on Mildenhall properties. We successfully replicate the art of the stone mason on brick buildings, where bricks are cut and shaped precisely to fit the decorative masonry features. 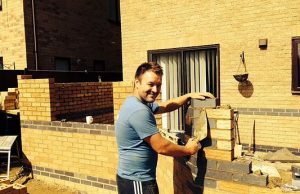 With years of experience in Mildenhall lime repointing, English Building and Restoration is a team of dedicated and professional brickwork repair experts in Mildenhall. Why Choose Our Mildenhall Lime Repointing Service? 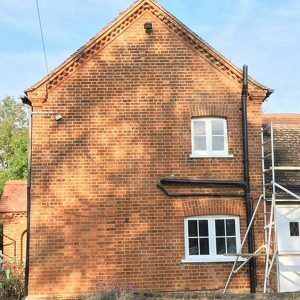 As lime re-pointers in Mildenhall and qualified tradesmen, we strongly believe that every aspect of our lime re-pointing should be of the highest standard. At English Building and Restoration we will source high quality, competitively priced lime brickwork materials in Mildenhall. We are experts in using the diverse materials required in residential lime repointing and commercial lime re-pointing in Mildenhall and locally. Have you experienced structural issues in your traditional Mildenhall Lime Brickwork? Structural issues can also cause varying degrees of masonry damage. Common structural issues in Mildenhall include incorrectly sized lintels, or unsupported masonry arches over garage door or windows. As expert traditional repointing contractors we specialise in re-pointing Mildenhall limestone masonry. We will supply all relevant materials and labour in this particular area. 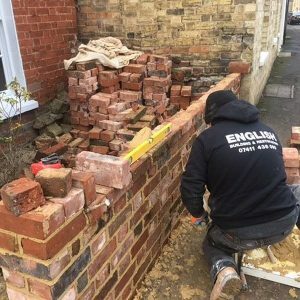 With English Building and Restoration you are getting a team fully focused and qualified in providing traditional Mildenhall lime repointing of unrivalled quality.